Dunkin' Donuts is an American fast food chain company, based in the region of Canton in Massachusetts. They mainly deal with doughnuts and coffee varieties. Originally, William Rosenberg founded the company, in the year 1950. First store of the company chain was set up at Quincy, in Massachusetts and their headquarter is located in Canton. The headquarter of the doughnut and beverage company was shifted from Quincy to Canton, in the year 2004. Dunkin' Donuts inaugurated the company's first ever 'green store' at the region of St. Petersburg, in Florida, in the year 2008. 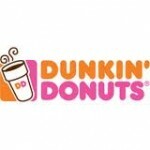 Dunkin' Donuts achieved a global sales record of six billion dollars in the year 2010. There are currently 5 consumer reviews about Dunkin Donuts available. Share your review. The small Dunkin Donuts that is inside the gas station on Harrison Boulevard in Avon near Christmas Tree Shop is the best Danny is the manager and he is (in my opinion) the best customer service person at a Dunkin Donuts I have met. He is always professional and the area is always stocked to perfection and the neatest and cleanest I have ever seen. Danny should be in one of the bigger Dunkin Donuts or a new one...I think he shines as an example of excellent Customer Service and professionalism. 1505 E. Fowler Ave., Tampa, FL Manager not on the ball. Not friendly, slow and hard to understand. Store just opened and not impressed with customer service of manager or logistic being implemented. Line around building and people in line, only one register manned while manager looks around clueless. What happened to friendly and welcoming style of business? the dunkin donuts in Dedham on bussy st is run poorly and is very dirty they have ants and flys in the store. they do not throw old food away they change the stickers and re-use yesterdays baked good. Please take a note that you are about to post a public review about Dunkin Donuts corporate office on CorporateOffice.com. This review will be public, so please do not post any of your personal information on this website. If you would like to contact the corporate offices of Dunkin Donuts, please use their contact information such as their phone number, website, and address listed above to contact them. However, sometimes staff from Dunkin Donuts headquarters do read the reviews on this website.